In Maharashtra, there is a district named Aurangabad, in which there is a village named Dhoopkhed. Chandbhai was the patel of that village. Once he lost his horse. Chandbhai searched and searched, but to no avail. A week after, while he was on the search, he noticed by the roadside a young lad of sixteen, having sedate looks and wearing the garb of a fakir. “I have lost my horse. 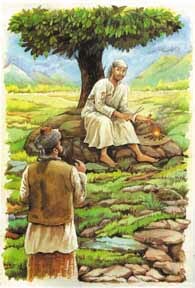 For this whole week, I am searching him,” said Chand, approaching the fakir, with folded hands. “Then why go further? Your animal is grazing beyond that hedge, there, look!” told the fakir, with a gentle smile, pointing to a thick hedge beyond which nothing could really be seen. Chandbhai went and saw, and lo! The horse was found quietly grazing there. Chandbhai was awe-struck. How did this fakir recognize him as the patel, how did the boy know that there was a horse beyond the hedge and that it belonged to him – all this struck him with wonder. He was convinced that the boy had a spark of Divinity in him. As Chandbhai related this incident among his friends and neighbours, the boy’s fame spread like a drop of oil on the surface of water. 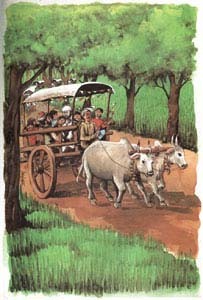 A few months later, a marriage procession went from Dhoopkhed to Shirdi. The boy-fakir also accompanied it. When the procession reached the outskirts of Shirdi, it stopped to pay homage to God khandoba. 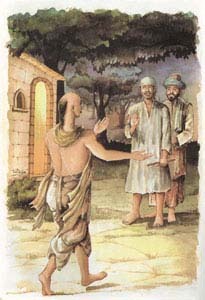 Mhalsapati, the priest of Khandoba temple, eyed the fakir, and, out of spontaneous admiration, exclaimed, ”welcome, ye Sai Baba”. It was as if the Divine Will that had given the boy this name, for that very name stuck to him all his life. From that day (1854), the boy stayed in Shirdi.